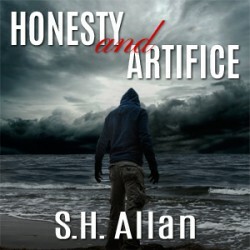 I participated in NaNoWriMo this April during which I wrote Honesty and Artifice. (Actually, I wrote it in two and a half weeks, but that's another story.) As part of that, Lulu gave me a free hardcover of the novel, I just had to pay S&H ($5). I'm sure that deal is available all over the place since the goal is for you to love it and then buy more (or put it up for sale), but it is still nice.